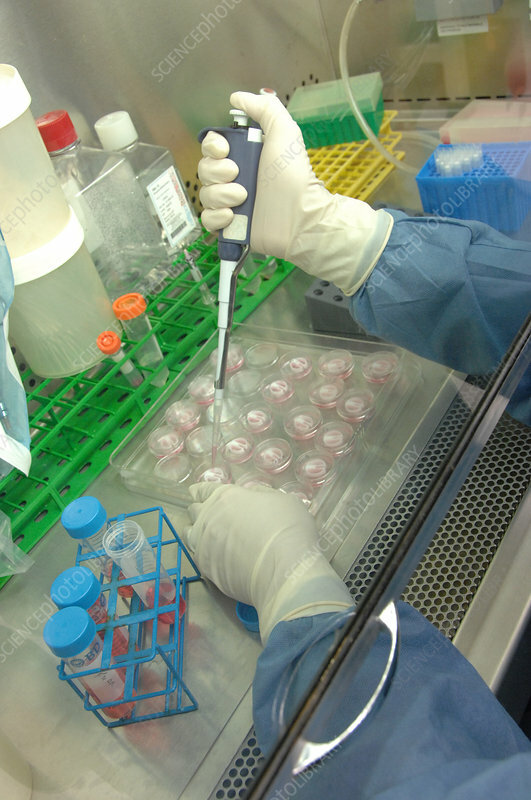 Primary cultures of superior cervical ganglia cells with pipette. Cell culture is the process by which cells are grown under controlled conditions, generally outside of their natural environment. The cervical ganglia are paravertebral ganglia of the sympathetic nervous system. These emerging postganglionic nerves synapse with preganglionic nerves from the thoracic spinal cord. Unlike all other ganglia, the medial branches of the cervical ganglia are 95% post-ganglionic axons. No photographer credited, dated July 6, 2009.